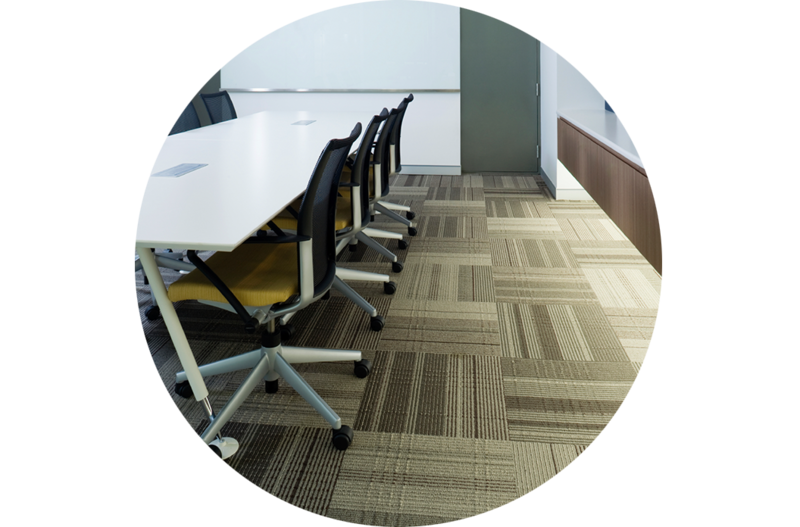 We utilize a rotary system with heavy duty brushes that agitate the Commercial Glue Down carpet (or CGD) and extract the dirt, leaving the carpet clean and looking great for the occupying staff. With top notch customer service and unparalleled cleaning results, you feel like a clean office was worth the investment. We will be happy to come onsite and provide a FREE estimate, so contact us today! We offer a variety of common and custom cleaning services for your business. Anything from dusting, vacuuming, emptying trash bins, organizing, bathroom cleaning, break rooms, interior window cleaning, and much more – we offer the best results with attention to detail that you cannot find anywhere else. Contact us today for a custom quote for your business! We utilize a unique cleaning system that agitates the Commercial Glue Down carpet (or CGD) and extract the dirt, leaving the carpet clean and looking great.